If you have any questions or suggestions you are welcome to join our forum discussion about Regulation Framework, Part II. FINRA is the successor to the National Association of Securities Dealers Inc. (NASD), which performs financial regulation of member brokerage firms and organized markets (exchanges). Formed on July 30th 2007, it is the biggest independent regulator for all securities firms, which operate on the territory of the United States. FINRA oversees 4 250 brokerage companies, 162 155 branch offices and 629 525 registered securities representatives. It regulates trading in stocks, corporate bonds, futures and options on securities. 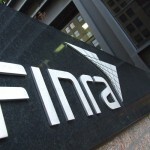 FINRA also provides licenses to individuals, allows firms to the industry, establishes a framework of rules to govern behavior of firms, monitors how member firms comply with this framework, provides education and qualification examinations to industry professionals, publishes educational information for public use. Its predecessor, the NASD, established the NASDAQ (National Association of Securities Dealers Automated Quotations) stock market back in 1971. In 2000 the NASD divested NASDAQ and returned to its self-regulatory organization status. Despite that the two were separate, brokerage firms, trading securities on NASDAQ had to be members of the NASD. The NASD required brokers to know their clients and to determine whether a particular investment strategy is suitable for them. The New York Stock Exchange (NYSE), the American Stock Exchange (ASE) and the NASDAQ have their own regulatory body, which examines whether companies, having securities traded on the exchange, match the criteria for their listing on the exchange itself. Among the criteria are the requirements for minimum number of shares actually traded, minimum market capitalization, minimum annual income and an accurate and timely financial reporting to the SEC. In order to be listed on the NYSE, a company must have issued at least 1 000 000 shares of stock worth 100 000 000 USD and must have earned over 10 000 000 USD during the past three years. In order to be listed on the NASDAQ, a company must have issued at least 1 250 000 shares of stock worth at least 70 000 000 USD and must have earned over 11 000 000 USD during the past three years. Stock exchanges play several important roles for the economy – to raise capital for businesses, to mobilize savings and transform them into investments, to facilitate growth of companies, to serve as barometers of the economy, to contribute to good practices of Corporate Governance, to create investment opportunities for smaller investors, to facilitate capital raising for development projects by the government. Exchanges are also engaged in monitoring the way securities are traded and in scrutinizing trading process for patterns, pointing to market manipulation and insider trading. Each exchange cooperates with a number of brokerage firms, which have access to trading on the exchange itself. A major objective of such a cooperation is to ensure that brokerage companies are aware who their clients are and also that brokerage firms have appropriate systems established, which to detect if their clients comply with regulations. Derivatives (options, futures, forwards) have a value, which is dependent on the value of the underlying asset/security (stock, currency, index, commodity). Derivatives market is a preferred segment of financial markets to day traders, because it allows them exposure to interest rates and market performance of a particular security using less capital than that required in order to directly operate with a large number of shares for instance. For more discussion on different types of derivatives and how they are traded, visit our Forex Trading guide. The CFTC is an independent federal government agency, regulating futures and options markets. It was established on April 15th 1975 in order to oversee market activities regarding commodities and financial futures and options. Based in Washington D.C., the CFTC has five commissioners, appointed by the US President and confirmed by the Senate, with a mandate of five years. One of the commissioners is designated to serve as a Chairman. No more than three commissioners at any time can belong to one and the same political party. Futures trading has been regulated by the US Department of Agriculture for decades, as it encompassed primarily agricultural commodities such as pork meat, corn, coffee and so on. With demand for new trading instruments, such as futures on currencies, increasing, a new regulatory body was needed. First, to make certain that the markets do not lack liquidity and both parties on any futures or options transaction are able to meet obligations on the respective contract. Second, to oversee the markets by ensuring that exchanges and self-regulatory organizations are provided with sufficient regulations and that the latter are enforced. The NFA is an independent self-regulatory organization, overseeing commodities and futures industries in the country. It regulates 4 200 companies and has 55 000 employees, operating on different futures exchanges. Its functions include registration, arbitration and compliance with the framework of regulations. Companies or individuals, accepting orders for commodity contracts traded on an exchange, are known as futures commission merchants (FCM). The Chicago Board Options Exchange (CBOE), Chicago Board of Trade (CBOT), Chicago Mercantile Exchange (CME), New York Board of Trade (NYBOT) and New York Mercantile Exchange (NYMEX) have their own regulatory bodies, which ensure traders uphold the rules of the exchange itself and the rules, set by other organizations (CFTC for example). In our Forex Trading guide we devote a large portion of the first chapter to features, advantages, major players and the role of brokers in the Foreign Exchange Market. In the current article we shall only note that when it comes to regulation, it is still a largely unregulated segment of financial markets. There is no international organization or agency, which oversees inter-bank trading activity. There is no obstacle, for instance, for travelers to exchange Canadian dollars for Swiss francs. 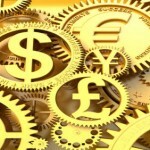 In addition, most currencies are traded in the spot, as we have already discussed. Forex traders usually operate in the spot market, which is not regulated! However, there are traders, who prefer to trade currencies in the derivatives market, because of the opportunity to hedge their positions against the risk of unexpected changes in currency exchange rates. Options and futures contracts, having currencies as underlying assets, are regulated as derivatives by the CFTC, the NFA and the respective major futures exchanges. It is vital to note that if you consider operating in an unregulated market such as Forex, you can use your own research of the risks and rewards in this market segment as your protection. Banks are among the major players in this market (as we discussed in our Forex Trading guide) and when it comes to strict regulation, it is these institutions that are usually referred to.